Football is a very exciting sport. 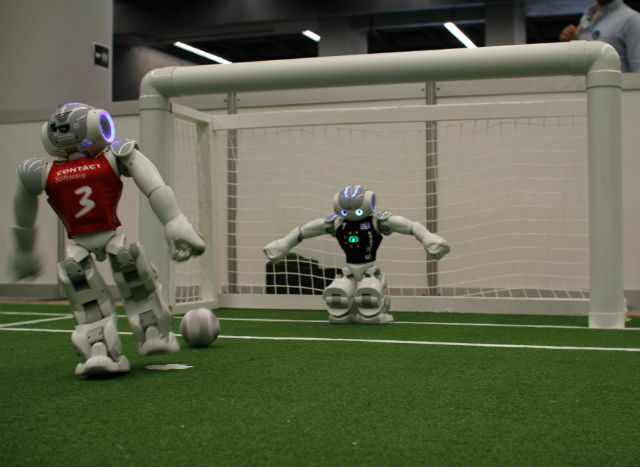 Regardless whether it's played by footballers or robots. 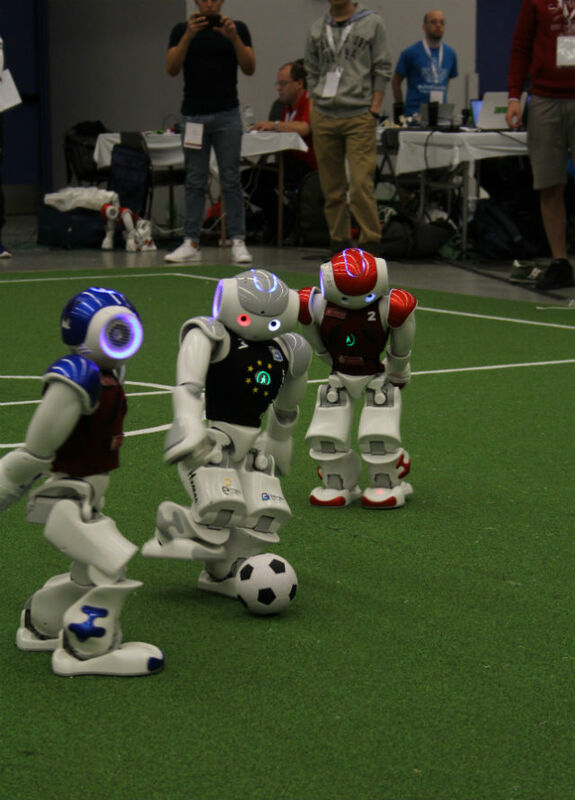 Spectators of the RoboCup 2018 held in Montreal should confirm that. The B-Human team sponsored by TME and created by students of University of Bremen turned out to be among the elite teams at the tournament. The competition began from penalty kicks. B-Human won the finals, beating 2:1 the Nao Devils team from Technical University of Dortmund. 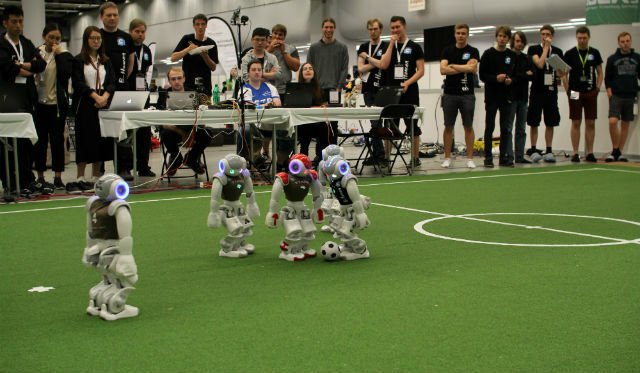 The teams faced each other again during the quarterfinals of the team game, where robots from Bremen crushed their rivals 4:1. In the semis, the team supported by TME defeated the TJArk from the Tongji University, scoring four and not conceding. In the final game, B-Human faced the Nao-Team HTWK from Leipzig. 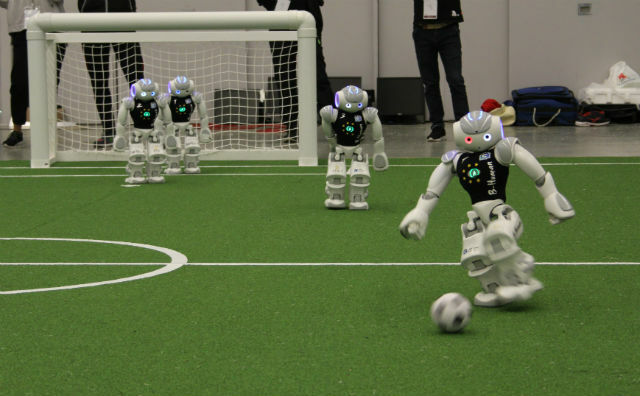 The game was even, but ultimately robots from Leipzig scored the winning goal, what gave them the gold medal. Montreal hosted also a mixed tournament, where co-operating teams could form their sides to compete. 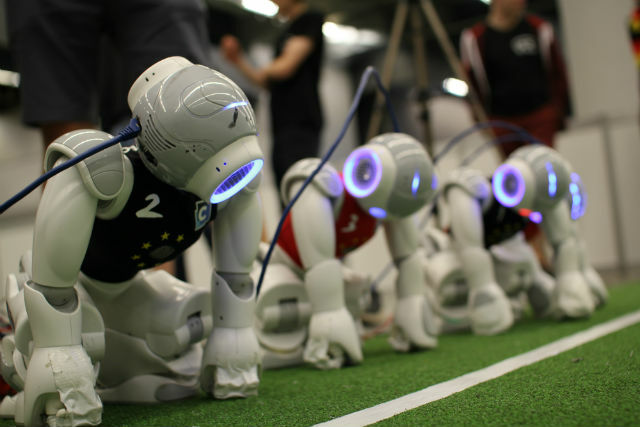 B-Human's robots joined forces with RUNSWift from Sydney University. 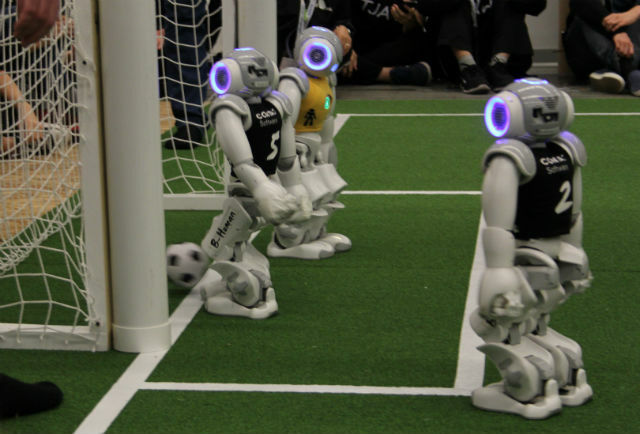 In the final, the team clashed with DoBerMan – a team consisting of robots from Berlin United (Humboldt University of Berlin) and Nao Devils from Dortmund. The game finished 4:0. That was the third and final victory over the latter team. 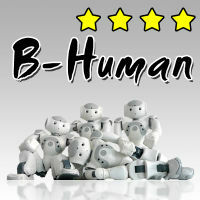 Finally, the B-Human team finished the tournament with two gold and one silver medal. We would like to congratulate all the participants and wish them further success!